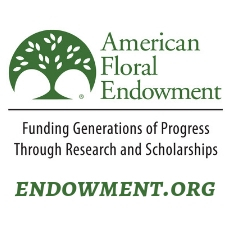 CALIFORNIA, the USA: While at the University of California, Davis in conjunction with their February board meeting, the AFE Board of Trustees learned a little something about flower power from the dozen or so presentations they heard from innovative industry educators. One presentation came from Professor Heiner Lieth, Ph.D., who teaches the popular course titled Application of the Art and Science of the Beauty and Perfection of Flowers, or “Flower Power” as it’s called. The course encourages students to develop an interest in floriculture in creative ways and learn about many facets of flowers, including how flowers are produced, how to handle them and common flower names. Students make flower arrangements for one class session, and certain other sessions involve additional floral activities and tackling dilemmas like choosing between a free pot mum or paying $5 for an orchid. 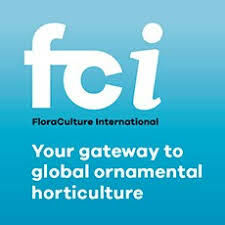 The students have a clear message to send to the floriculture industry: they say the industry is doing a terrible job overall of getting flowers into the hands of young people. “This was part of a group discussion that was aimed at having the students identify the barriers to using flowers and to suggest how the industry might make changes that would be to their benefit,” Lieth said. AFE, through the Floral Marketing Research Fund (FMRF)*, has partnered with Lieth on a project to address this issue. Stay tuned! In addition to the presentations, organized by Department of Entomology Professor and Chair Mike Parrella, Ph.D., Trustees visited the The Häagen-Dazs Honey Bee Haven and the UC Davis winery, which is unlike any other in the world. Find out why by reading the full article today. recently are: price / value, longevity / vase life, and education. make them definitely or probably consider a flower purchase. range may help increase the likelihood of them choosing to buy flowers in the future.